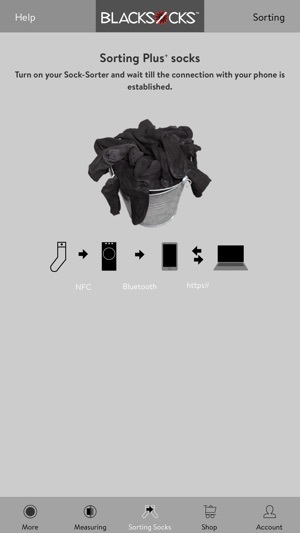 Experience Smarter Socks from BLACKSOCKS on your iPhone. 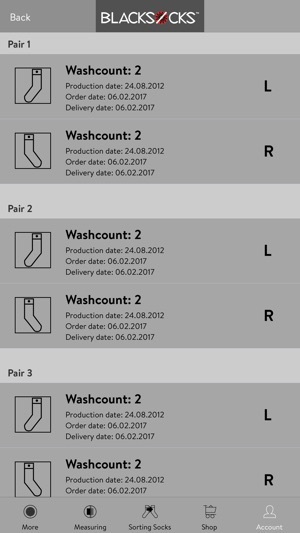 Our app will help you sort your socks if you have purchased Calf Socks Plus+ and the sock sorter. 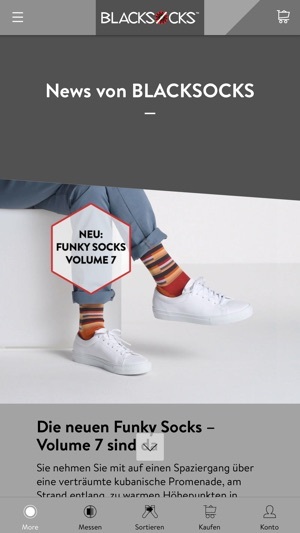 It also provides information about the history of your socks anytime and anywhere. 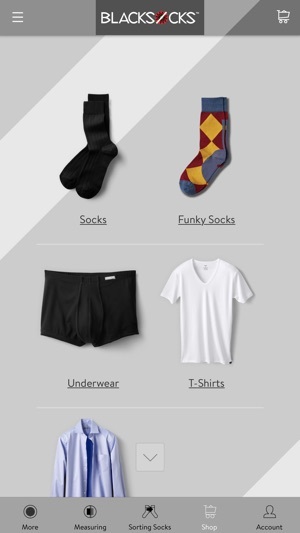 As a BLACKSOCKS customer you can manage your socks. Every user has the possibility to measure the blackness of their socks. The app also serves as a shopping tool. 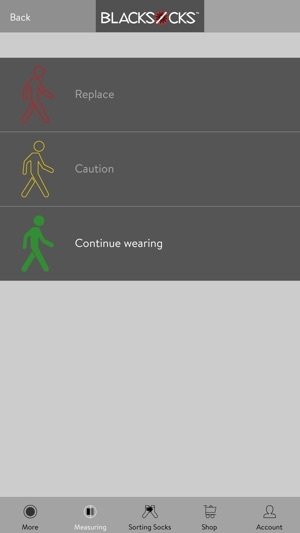 At the request of some app users, the hint popup, when scanning the socks, can be closed manually.